Connecticut is latest state to face closures. Postal service officials in Connecticut are reviewing the state's 400 postal facilities to see which branches they will close this fall, according to reports. With an expected revenue decline of up to $8 billion this year, the U.S. Postal Service has already tried to cut costs by offering employees retirement packages, cancelling routes and changing its hours of operations. 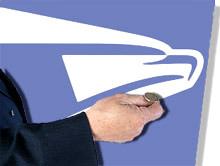 It has also increased the cost of postage to boost revenue. But more needs to be done, officials say, since mail volume is expected to drop 14 percent this year. "We've done all these things to extract savings; now we're looking at our infrastructure," says Maureen Marion, a spokeswoman for Connecticut's USPS, in reports. "If we don't make these moves, we won't be able to keep our prices competitive. We also don't want to break our bond in offering continued employment to our employees." Up to 150 branches could be closed, according to reports. Officials will look at space utilization, carrier routes, rental costs, proximity to other post offices and accessibility to determine which facilities will be shut down. "We are looking at the optimization of the existing infrastructure of the postal service," Marion tells The Hartford Courant. "We have a little too much building right now to serve our customers effectively." While officials have begun considering the sites that might be closed, final decisions will not be made until the end of summer, according to reports. Closures would begin in October. "The postal service is being very aggressive in taking costs out of our financial system," Marion reports. "We're doing everything we can to keep the price of the post office affordable." Facilities identified as future closures would get at least a week's notice and have a public hearing process, according to reports. Employees working at these facilities would be relocated to other offices. In March, the agency announced that it planned to close six offices around the country. While it is unclear how the closures will affect online sellers, the postal service did announce integration with Bill Me Later. This will allow customers to pay for postal products online without using a credit card and without leaving eBay.